Pressure screen before paper machine is inflow type. Its main task is to deflocculate the fiber bundle & fiber group of slurry, reduce the sizing pulp pressure impulse and the fluctuation of the pulp during paper making process. 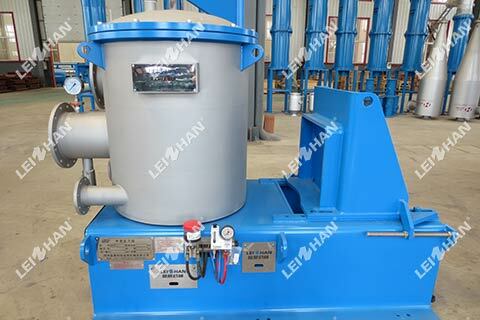 The accepts of the pressure screen before paper machine are sent to the main pipe of the paper machine head-box, by the control of the head-box to the wire section for paper making. The back-flow of the head-box is sent to the stand pipe before fan pump and through fan pump to the wire part. The tailing of the inflow pressure screen is sent to the vibrating screen. The accept of the vibrating screen is sent to the stand pipe before fan pump and through fan pump to the wire part. The rejects of the vibrating screen are discharged from the system.